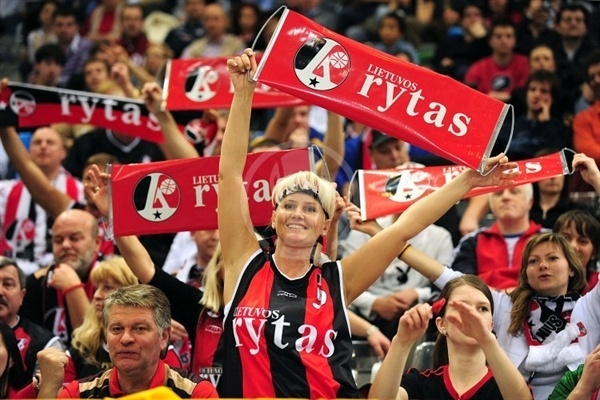 Lietuvos Rytas made it to the Eurocup final! L. Rytas reached the competition title game for the third time in club history by edging Hemofarm Stada 68-73 in the first semifinal on Saturday. 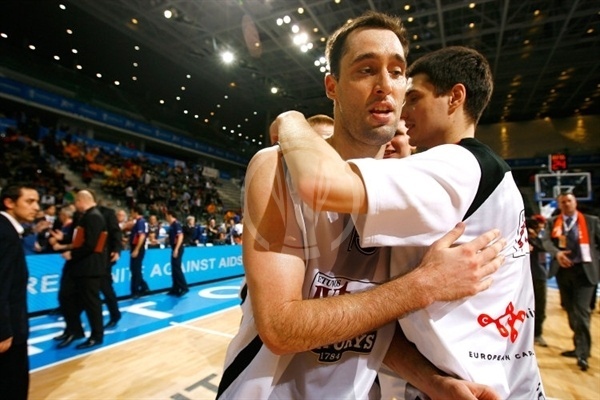 L. Rytas now has the chance to become the first team to win a seconcd Eurocup title, as won the competition in 2005. Meanwhile, Hemofarm had a bitter end to an otherwise fantastic Eurocup season. Marijonas Petravicius paced the winners with 23 points on 11-for-15 two-pointers. Mindaugas Lukauskis added 15, including an incredible go-ahead triple while Chuck Eidson had 13, 6 rebounds and 7 assists for L. Rytas. Nebojsa Joksimovic led Hemofarm with a season-high 24 points. Stefan Markovic and Milan Macvan helped Hemofarm to stay in the game early but a 0-7 run that Steponas Babrauskas capped with free throws allowed L. Rytas to get a double-digit lead, 14-24, after 10 minutes. A put-back layup by Donatas Zavackas gave L. Rytas its biggest margin that far, 18-29. Joksimovic tried to change things for Hemofarm but Eidson and Petravicius stepped up to keep L. Rytas way ahead, 28-36, at halftime. Boris Savovic and Joksimovic struck from downtown in a 9-0 run that brought Hemofarm back to life, 47-49, at the end of the third quarter. Back-to-back triples by Joksimovic got Hemofarm even closer, 59-60, midway through the fourth period. Boban Marjanovic tied it at 63-63 but an incredible nine-meter turnaround three-pointer by Lukauskis and a layup by Petravicius sealed the outcome down the stretch. Macvan got Hemofarm going with a power layup before Lukauskis canned a short jumper for a 2-2 tie. Joksimovic kept Hemofarm ahead 4-2 with a basket transition, but soon enough L. Rytas had its first lead as Petravicius hit a strong reverse layup and Eidson put back his own missed triple. Boban Marjanovic rocked the rim with a put-back dunk for Hemofarm and Stefan Markovic finished a fastbreak layup to return the edge to Hemofarm, 8-6. Petravicius kept pacing L. Rytas with a three-point play but Markovic scored again for a 10-9 Hemofarm lead. Eidson sank free throws while Evaldas Dainys added a driving layup to put their team back ahead, 10-13. Macvan and Petravicius traded layups but Hemofarm struggled to score now. Meanwhile, a layup by Milko Bjelica made it a five-point game, 12-17. Markovic hit free throws but Michailis Anisimovas scored on one fastbreak and Eidson dunked another to extend the L. Rytas margin to 14-22. Free throws by Steponas Babrauskas made it a 0-7 run and boosted his team's lead to doube digits, 14-24, after 10 minutes. Joksimovic stepped up with an acrobatic layup to start the second quarter, as Hemofarm improved its defense with Pavkovic, Markovic and Joksimovic together on court. L. Rytas struggled to find open shots while a put-back layup by Milivoje Bozovic got Hemofarm within 18-24. Babrauskas answered from downtown, however, to which Zavackas added a put-back layup to give L. Rytas its high lead so far, 18-29. Joksimovic tried to change things with a driving layup while free throws by Bader gave Hemofarm some hope at 22-29. Eidson fed Petravicius for an easy layup but Joksimovic answered from downtown to pull Hemofarm within 25-31. 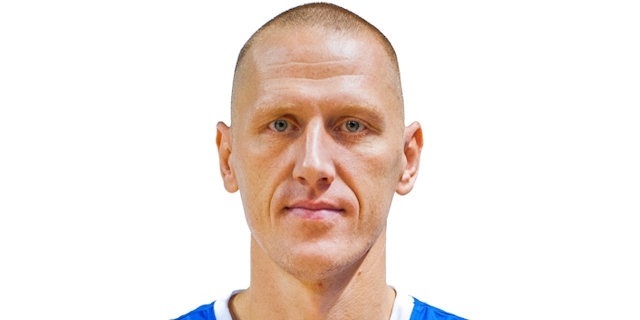 Eidson provided a highlight with an outstanding driving basket, however Milos Borisov matched it with foul shots for Hemofarm. Both teams had entered the foul bonus and tried to play more aggressive to go to the foul line often. 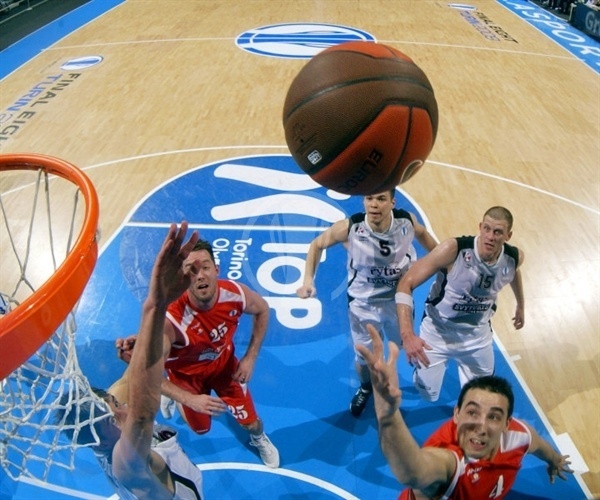 Hemofarm kept missing open shots, however, while a free throw by Lukauskis gave L. Rytas a 27-34 margin. Eidson collected a steal that helped Petravicius to score again while a free throw by Joksimovic fixed the halftime score at 28-36. Vladan Vukosavljevic, back in action for the first time after missing several months due to a foot injury, scored inside for Hemofarm to start the second half. A layup by an unstoppable Petravicius gave L. Rytas a 30-38 lead and he returned to the rim to increase the lead to double-digits. Krstovic scored in penetration but he didn't find much scoring help. 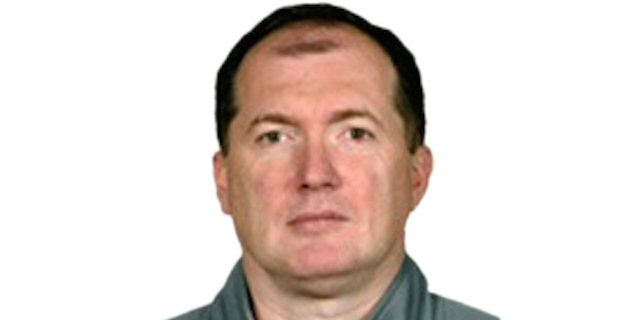 L. Rytas opted to slow the game once Marjanovic came back to help stop Petravicius, trying to run the game clock down. Lukauskis finished a long L. Rytas offense with a bomb from downtown that restored a double-digit margin, 33-43. Marjanovic made free throws but Lukauskis quickly answered with a jumper. Joksimovic downed a big triple in transition but a put-back layup by Petravicius kept L. Rytas going, 38-47. Lukauskis took over with a two-handed fast break dunk to match the highest lead until then, 11 points, at 38-49. Hemofarm needed a spark and got it from Boris Savovic, whose shot from downtown woke up his teammates. Krstovic followed a free throw with an electric driving layup while Joksimovic buried a seven-meter bomb that bounced twice around the rim and fell in, good to bring Hemofarm back to life, 47-49, after 30 minutes. 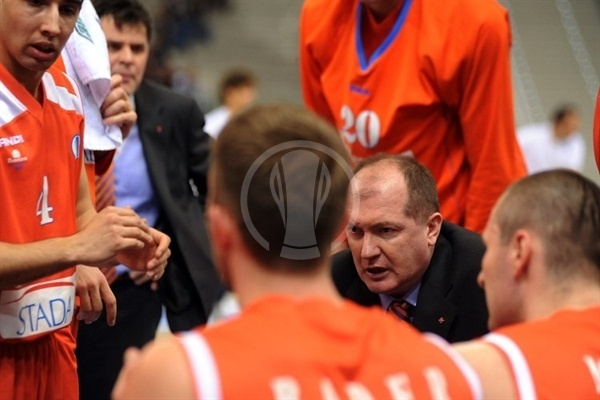 L. Rytas had been scoreless for more than 3 minutes until Petravicius - who else? - stepped up with a jump hook. Hemofarm stayed aggressive in defense while Savovic rolled off the pick for a layup. Eidson buried his trademark stop-and-pop jumper while Lukauskis added a driving layup to give L. Rytas some fresh air at 50-55. Babrauskas struck from downtown to cap a 1-7 L. Rytas run while an outstanding Petravicius added a tip-in over Marjanovic for a 51-60 lead. Krstovic sank a six-meter jumper while Joksimovic rescued Hemofarm with consecutive rainbow triples to make it a one-point game, 59-60. Eidson provided a highlight with an off-balance three-point play but Marjanovic followed free throws with a jumper to tie it at 63-63 with 2:28 remaining. L. Rytas called timeout and Lukauskis incredibly beat the shot clock with an unthinkable turnaround nine-meter triple. An easy layup by Petravicius sealed the outcome, 63-68, with 53.5 seconds remaining. A fast break dunk by Jomantas allowed all L. Rytas fans that their team is once again in the Eurocup final! 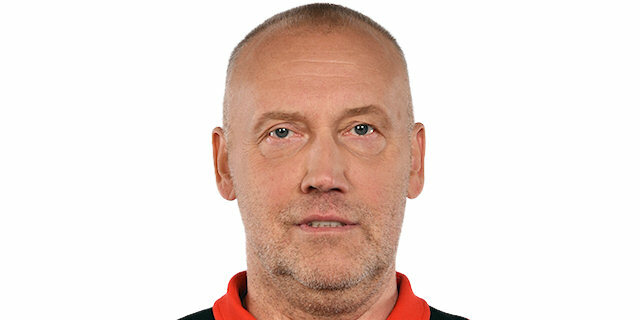 "First of all, congratulations to Lietuvos Rytas for their victory. We had problems in the first quarter. Our defense was very bad. We gave up 24 points. Our second, third and fourth quarters, we played better defense, but we had problems with free throws. We missed 9 of them, and we made 18 turnovers. It is too much for a game like the semifinals in the Eurocup, but I think we made a good showing in the tournament and it has been big experience for my young team. I think that the Lukauskis three-pointer was decisive and lucky. It was 63-63 at the time, and that shot was very important for them. Milan Macvan didn't play very well for us, and when Bozovic came in, he played good, so it was my decision." "First, let me say a few good words for Hemofarm. They are a really good team and they played perfectly after being down by 11. They didn't lose confidence and still kept fighting. We had some trouble in the end, with just seven players, maybe we were tired. Anyway, I am happy that we won and we are a finalist now. We had some strategies to take the advantage from the beginning, because it's easier to play from six or 10 points ahead, if you can do it. I think that Hemofarm did a big job to come back from 11 down, but we did not panic. We continued to play, we switched defenses, and it helped us to play a different style at the end." "We were down 8-9 points almost all game, we were trying to catch them all the time, but they survived the pressure we tried to give them. In the first quarter we played very bad and made lots of turnovers, so they scored many points on easy fastbreaks, 10 points in a couple minutes, I think. Catching up the whole game is very hard. Finally, we came back and the score was equal, but then Lukaiskis scored that three-pointer from 9-10 meters at the buzzer, and after that we tried to catch them very fast so we played fast offense, and we didn't have enough time. Our main goal was to put pressure on Chuck Eidson, trying to separate him from the ball and the action. A couple of times we did it, but they have other experienced guys, who pushed for them at the right time. It doesn't feel better, because I had a good game, it matters who was the best team, not the best player. I was so happy after winning over Dynamo, when almost everybody who came on the court for us scored some points." "I don't know if it was my best game this season, but I am happy with the game I had and above all, because we won. Sometimes you don't score as many points and you play well, it is not all about statistics. It is really exciting for have a second chance to win the title. We will watch the second semifinal right now to see who will be out opponent. We were a little lucky with that shot that Mindaugas (Lukauskis) made in the end but at the same time, he is used to make last-second shots. It worked out for us. We played aggressive defense in the beginning and that was one of the keys to the game. Even when they managed to tie the game, we stayed focused and played better in the final 2 minutes to win it." "It feels good to be in the final. There were some doubts about this team and nobody expected us to be in the finals. We proved almost everybody wrong. No matter what people say before games or in the beginning of the season, we made it to the finals and have a very important game to play tomorrow. you never know what is going to happen. We may win or lose, but did a great job this season. Everybody did a great job on Milan Macvan in the beginning of the game, not only me. Our coach insisted on playing as hard as we could and managed to win the game. It doesn't matter who we play against, we will give 100%. I don't know if we are going to win but we are definitely going to try."